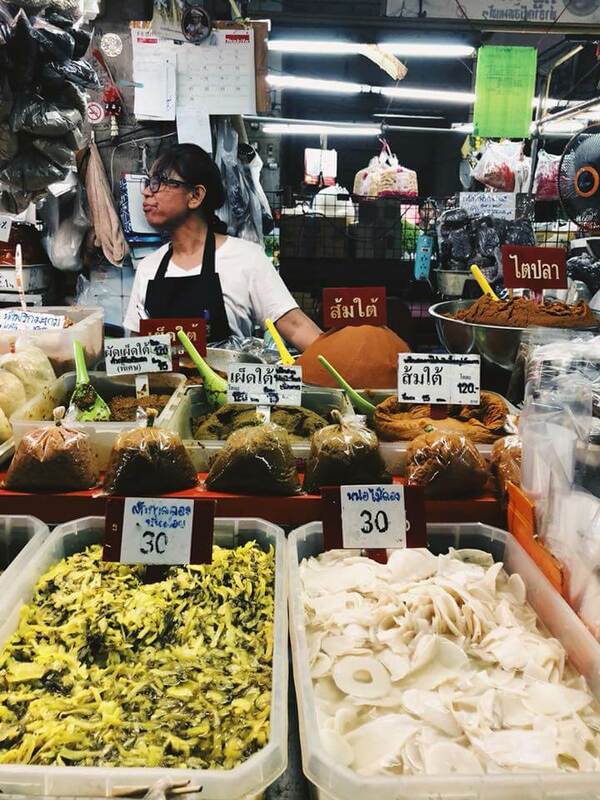 One of the things that makes Thailand a popular tourist destination is the country’s delicious and unique cuisine. 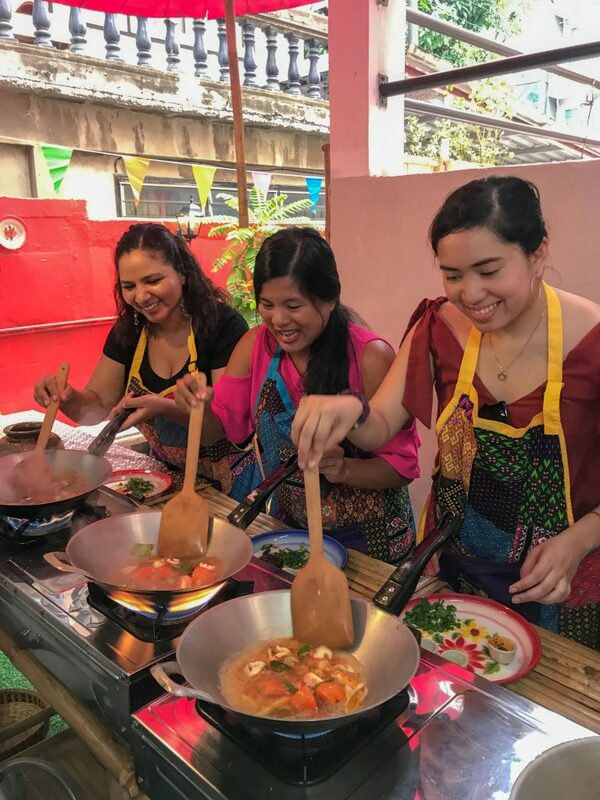 The Siamese Cookery House is a great place to visit if you’re a fan of Thai food and would like to take the cooking skills back home with you for a taste of the country’s culture wherever you go. 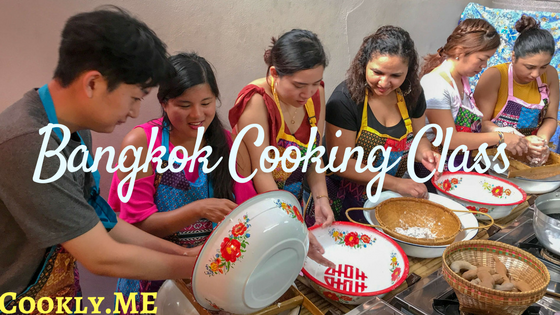 We booked ourselves 1 day a cooking class in Bangkok entitled: Thai Cooking Class in a 100 Year Old Traditional House with Market Tour. We had to meet our tour guide outside of the Hwai Kwan Station in order to get to the cooking class. 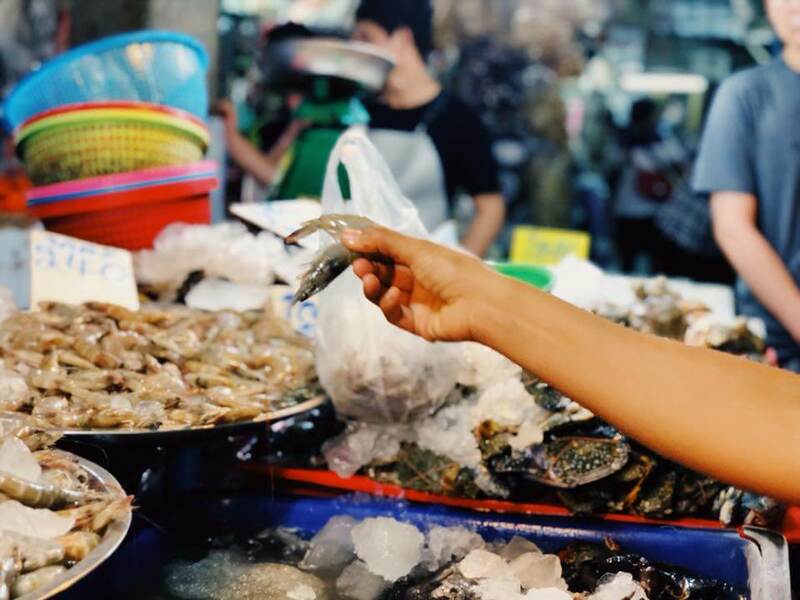 Upon finally meeting the tour guide we first went to the market which took us just a five minute walk away. 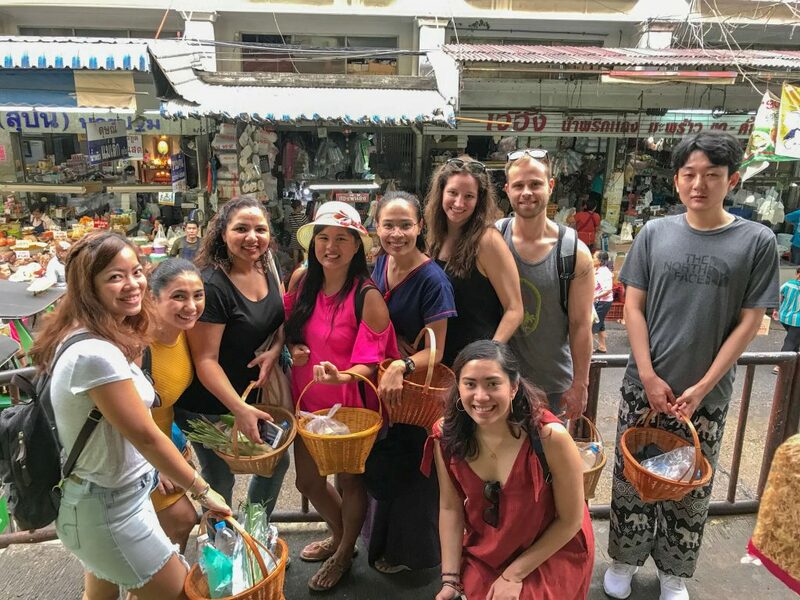 Here our guide Goong (pronounced kung), introduced us to all of the different Thai ingredients we would need for the cooking session that was coming up next. 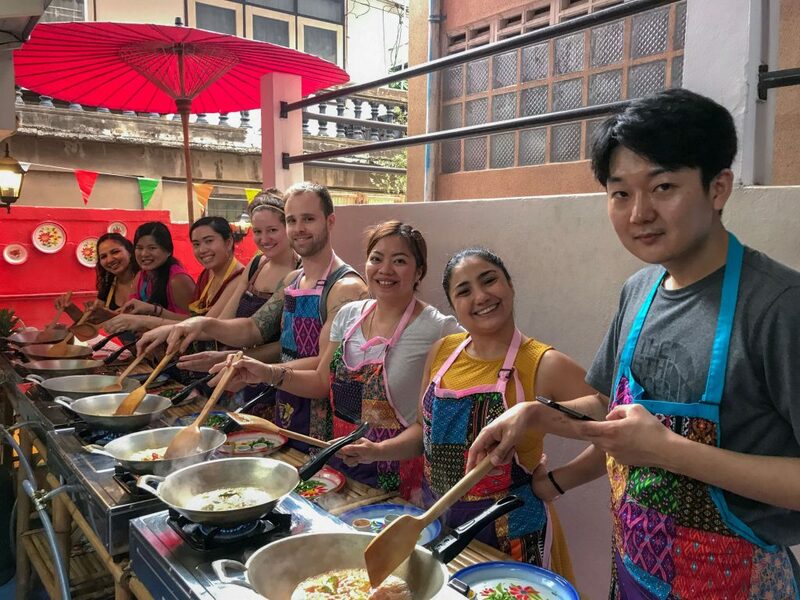 Goong, who gained immense popularity at the well-known Silom Thai Cooking School after working there for 6 years, has opened up her own cooking school together with former colleagues. She does know what she is doing. 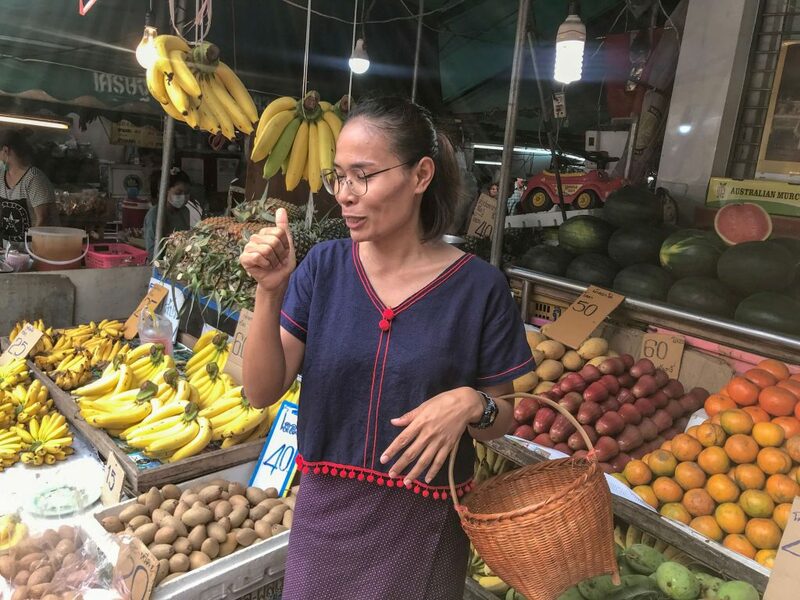 She even taught us how to know if the different ingredients were good or bad or how to determine the fresh goods from the old. 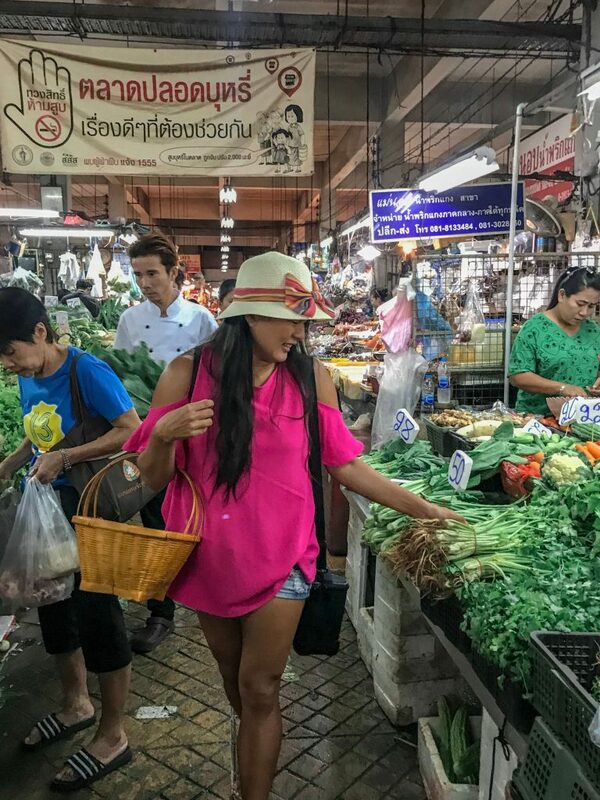 She also explained the different types of Thai chilies, their spiciness level, as well as most other things—actually the market part was very interesting. I passed by this black chicken which was quite cool but at the onset our guide was already FUNNNY and very informative. We knew right then that the entire cooking class was going to be fun. 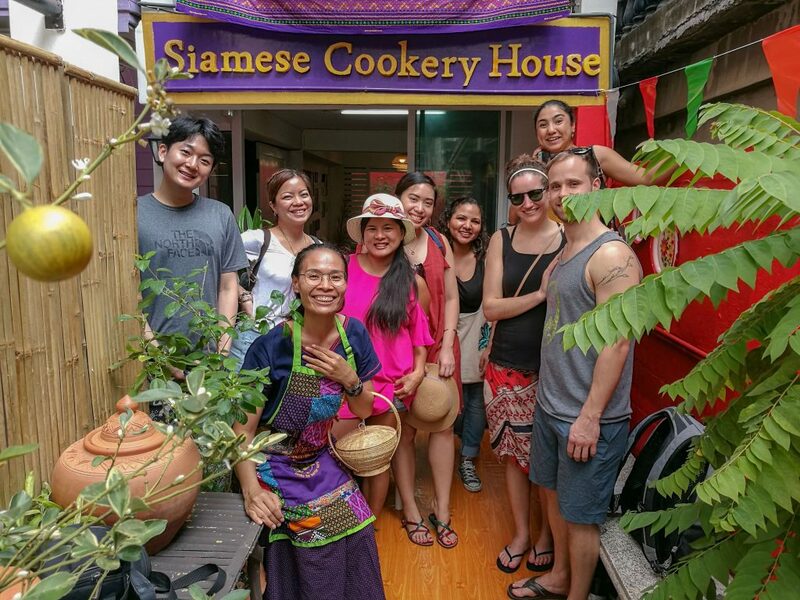 Once we arrived at the Thai cookery house, we were all able to form a small group of 8. Since there were such a small amount of people, we could communicate better. Loved the intimacy. 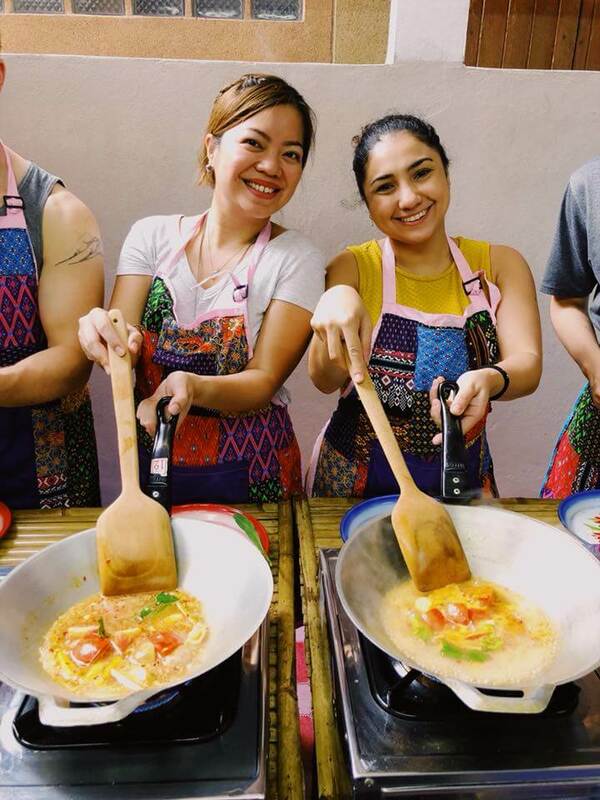 We all had our own Woks which are a large pan used for cooking. 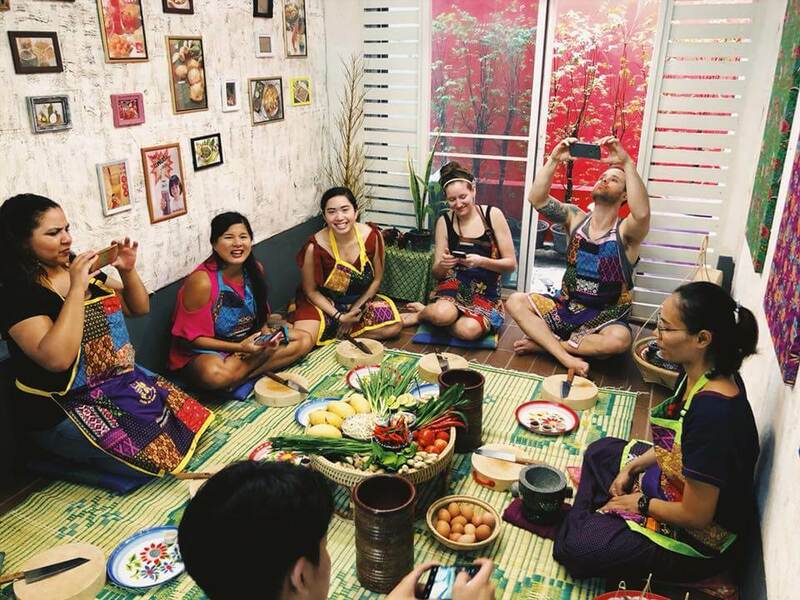 The area we were cooking inside was actually a small Thai style house which happens to be over a hundred years old—a great way to immerse yourself in the Thailand environment and culture because of all how authentic it all makes you feel–it really made cooking far more fun because of it. 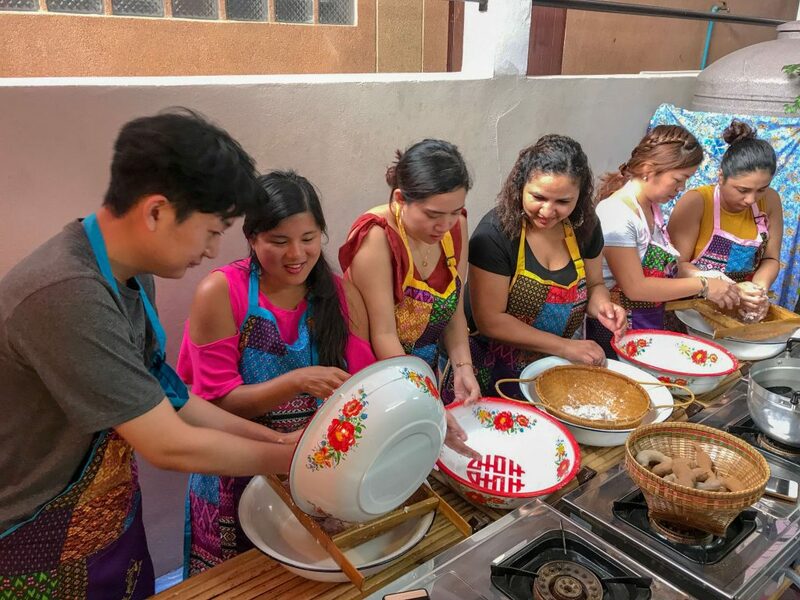 The cooking session starts out by preparing all of the things you need, which includes the goods we had gathered from the market. 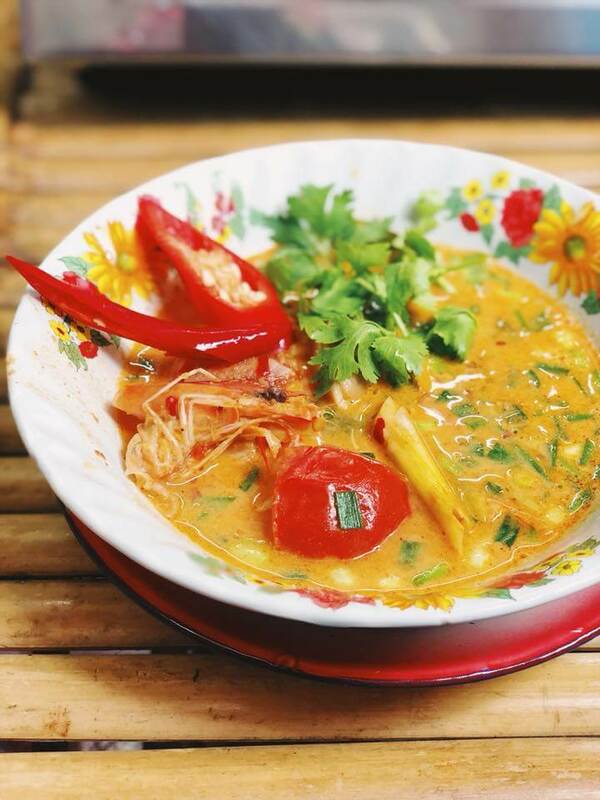 We started first and foremost with a Thai dish called Tom Yam Goong, which is a mainly broth-based meal. I liked that you cook your own because my level of spice is way off from my friends so I had freedom to choose what kind of spiciness level I wanted— I could choose my personal level of chili. We also cut the ingredients together. 2.) Add the shrimp during the latter part of the cooking process since shrimp happens to cook really fast. If you put in the shrimp in too early it will get tough, and won’t be as delicious. 3.) Be careful with adding the peppers since Thai spice can get quite hot. Make sure to taste the broth every now and then to see if you can handle the heat. 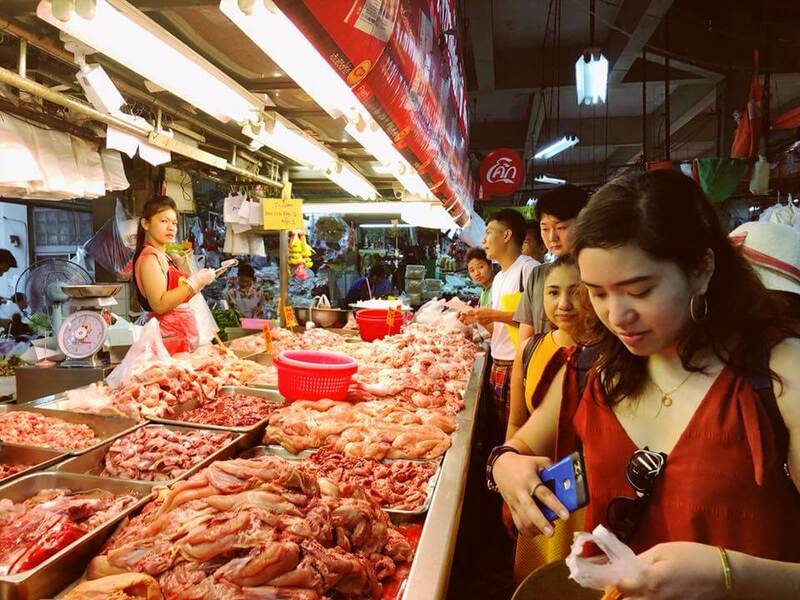 The chef also told us what we ingredients we can make use of apart from the ones we had found at the market — I mean in terms of what we could use if we wanted to make it ourselves at home, like in the Philippines. She gave us advice, mainly advising us to just take stuff off from our fridges and just put it in the food. I’m excited to try. 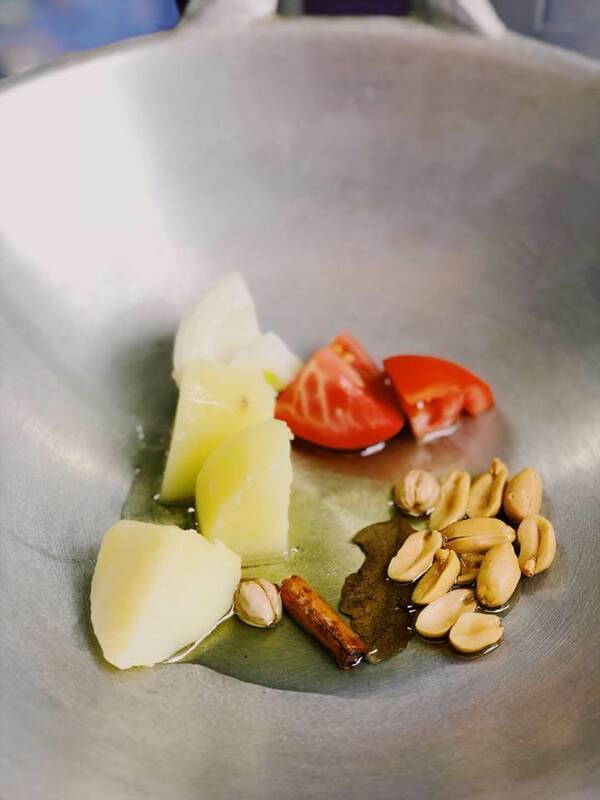 After preparing all of our ingredients, we finally started the cooking process which was relatively simple—we just needed to pour the ingredients into our pots in the correct order and at the correct time. 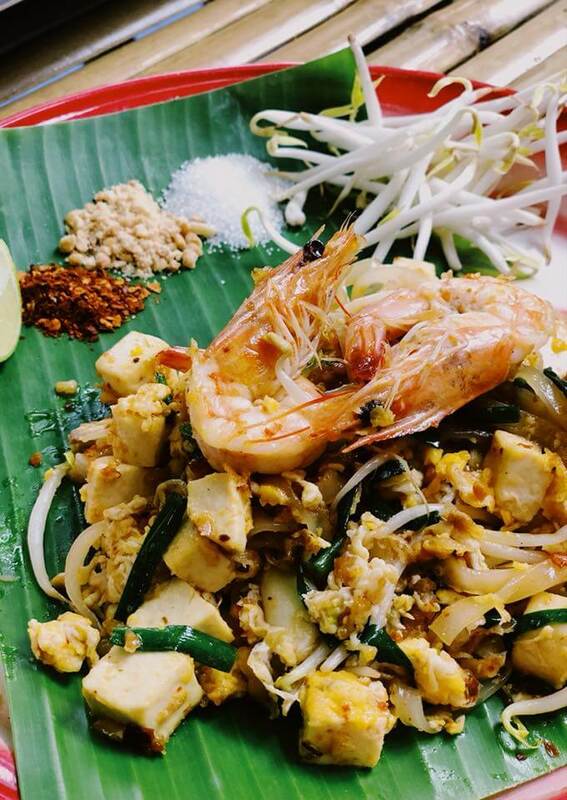 The total cooking time of the entire meal only takes around 10 minutes (quick, right?). 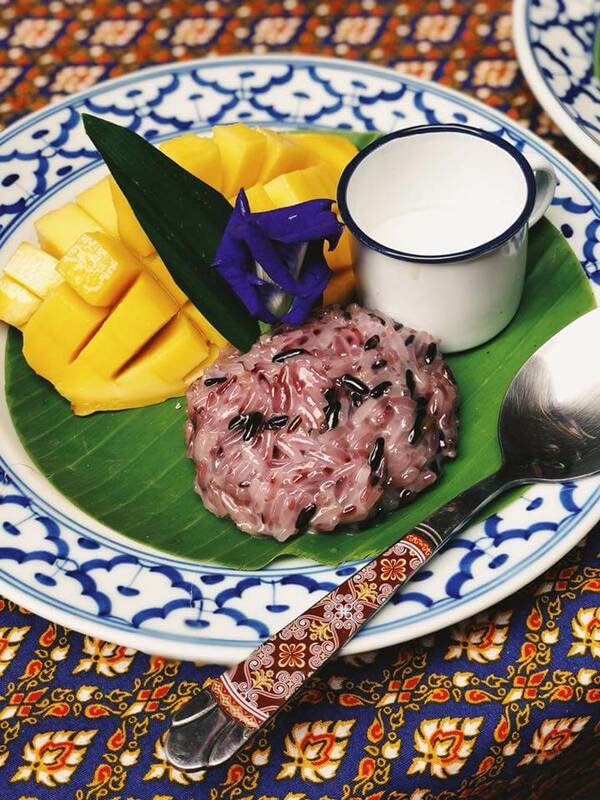 Afterwards, we had time to enjoy and eat our first flavourful, authentic Thai dish. I LOVE! 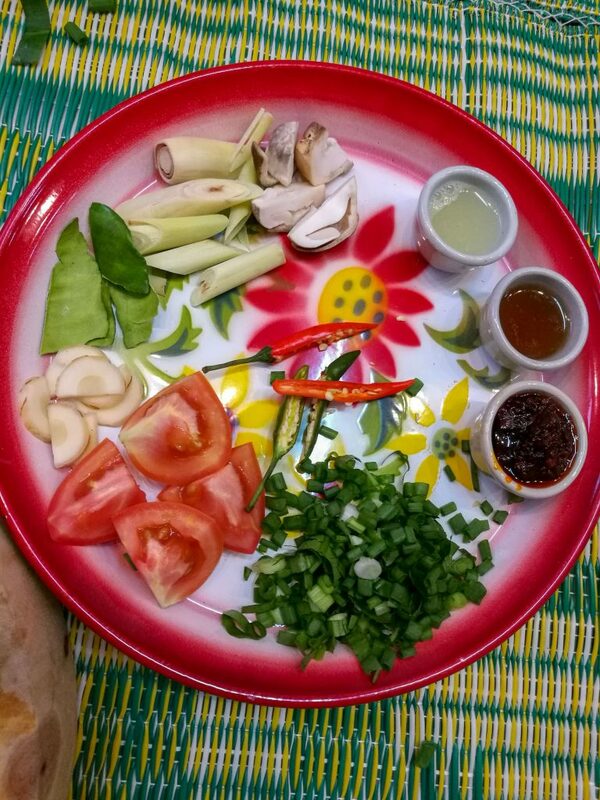 Like with the first meal we made, the Tom Yam Goong, we also prepped our own ingredients and cooked them. 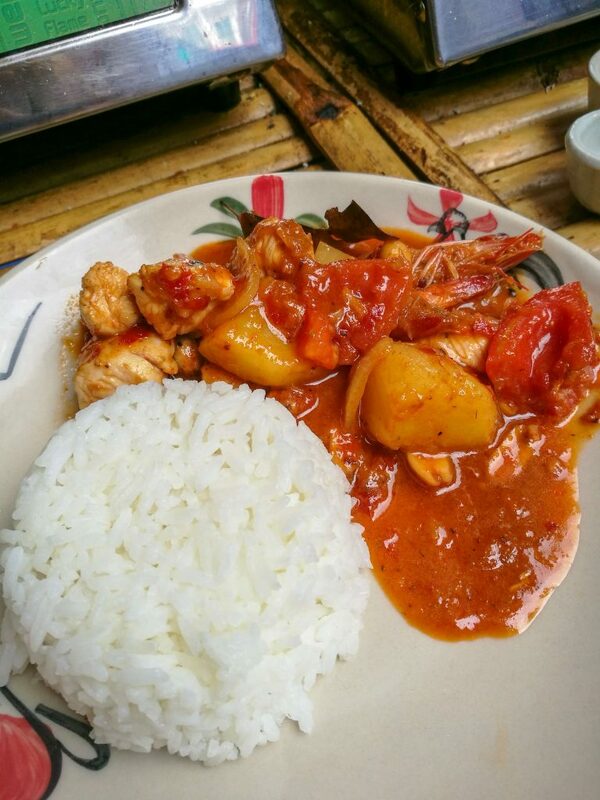 We were given a choice of which meat we wanted to use: chicken or prawns—I was indecisive since I wanted both. They also taught us plating which was nice. 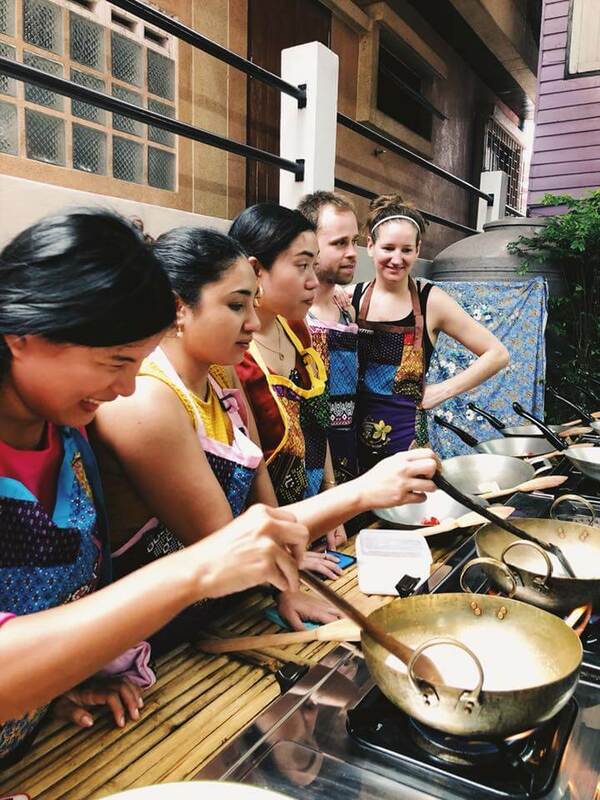 Here we each had our own task since making curry is quite the complex process but even so, I still loved it. 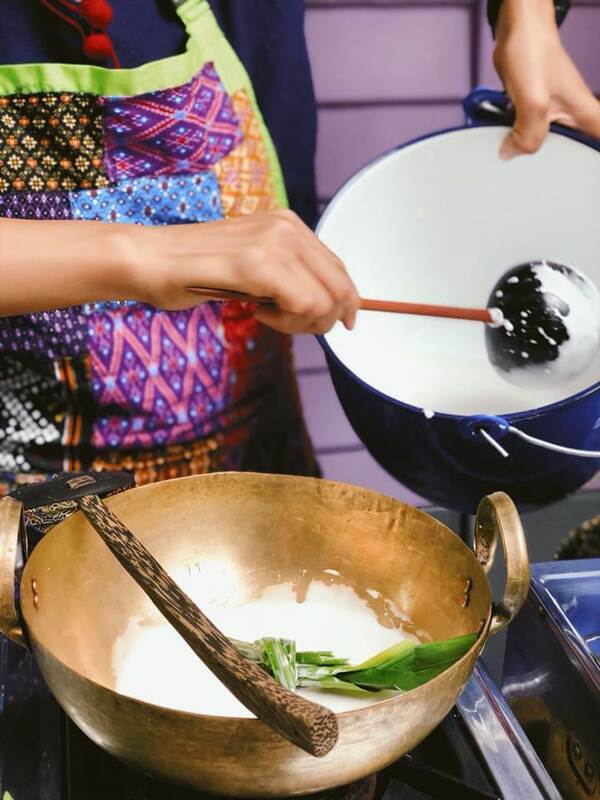 Some of the main ingredients of the curry were coconut milk which was an important aspect in making sure the curry was creamy and hearty, and the second important ingredient would be the peppers and spices since they give the meal a lot of flavor. 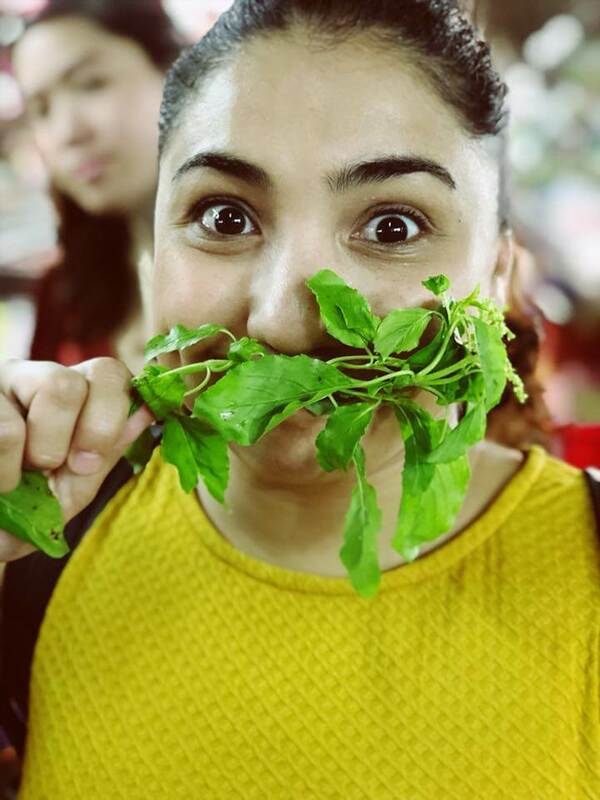 Of course, there’s also the chicken chunks and sliced vegetables like onions as well as a delicious tasting chicken broth with provides the very base of your dish—the broth actually has the power to either make or break your curry depending on how good it tastes. Since we already prepared, made, and ate two different spicy dishes, this was a good, delicious and sweet curry which was exactly what was needed in order to balance everything out. After all of the main courses we made, it was finally time for dessert. 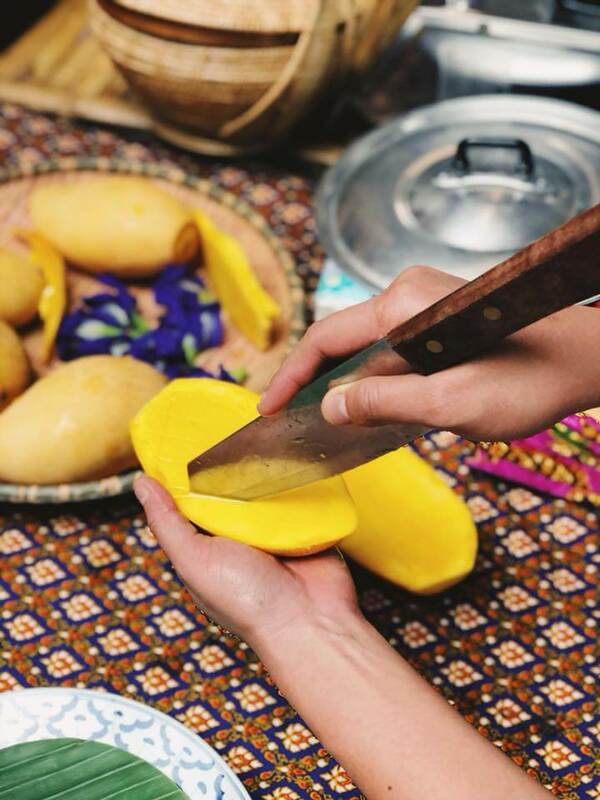 We made Mango Sticky Rice, which is a popular sweet in Thailand made up of mainly mangoes, coconut milk and shredding, as well as rice. 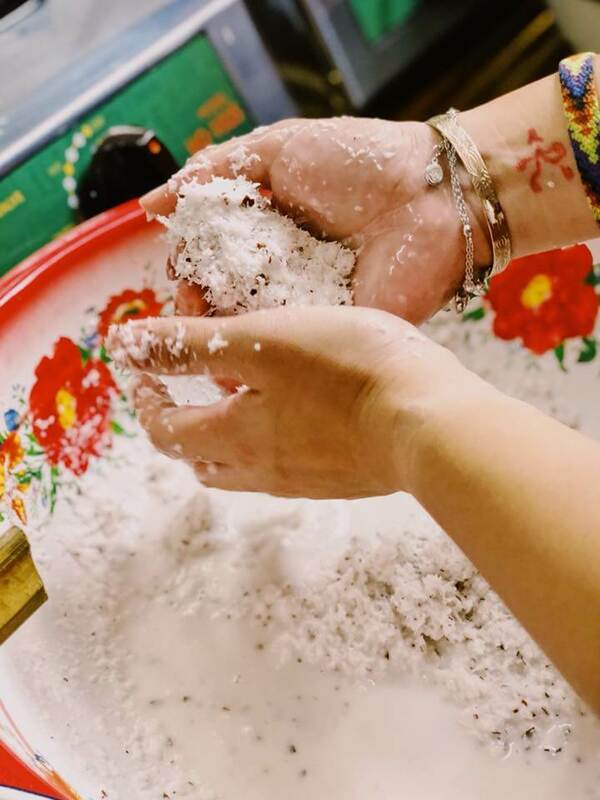 We got to squeeze the coconut milk in pairs— which was just the perfect time to make friends. I paired up with a Korean — there was also a French girl— this activity is fun and social. 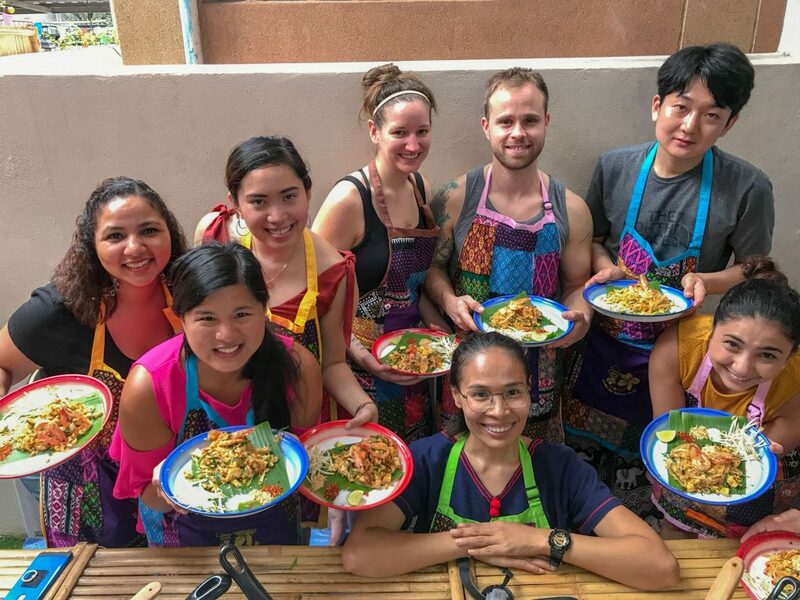 Overall, the entire class was a wonderful experience which lasted a total of around three hours and thirty minutes, which was more than worth the time and money because of all of the different authentic Thai dishes we were able to cook up. 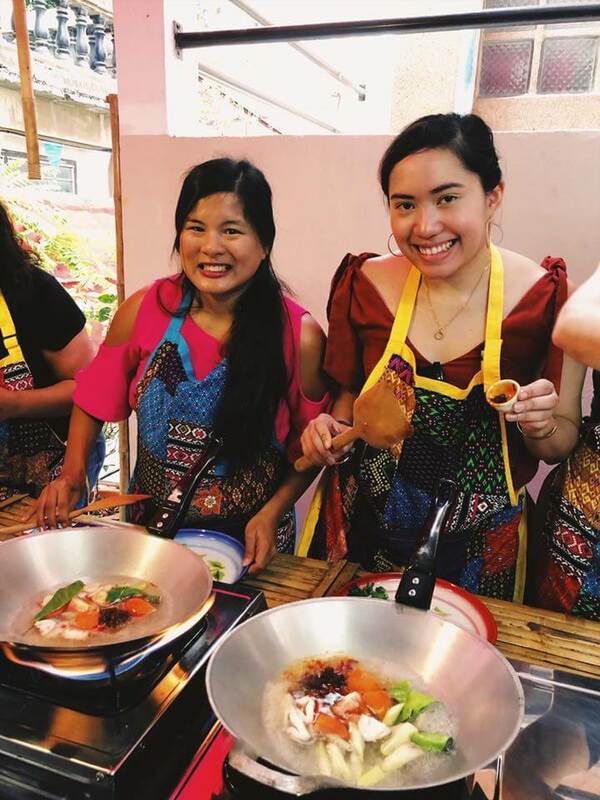 The Cooking Class we took was booked through cookly.me, for people like us who love attending cooking classes its good that she offers this a consolidation of cooking class around the world ad the booking is, surprisingly, VERY EASY. All you need to do is pick the date wherein you would like to attend the class, the time, and then simply click a button in order to confirm your booking. 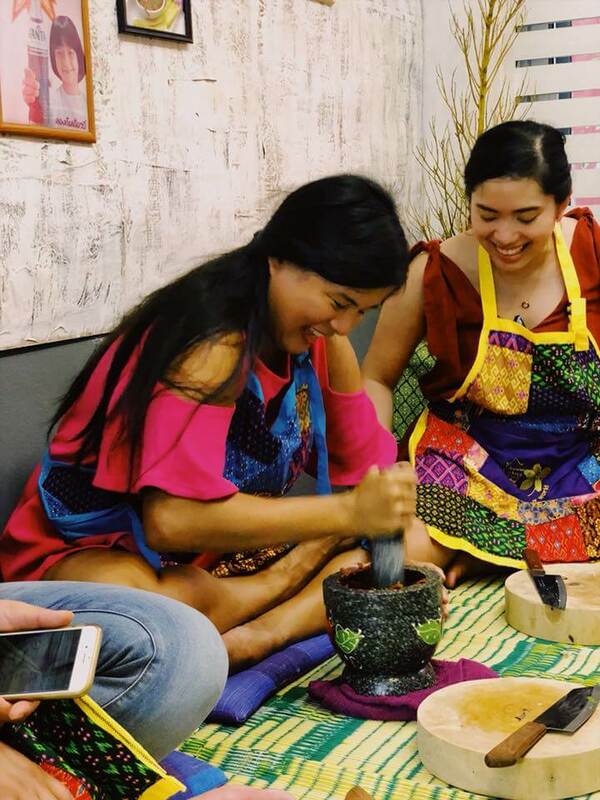 We absolutely loved this experience, and in fact we will definitely use this again for more possible classes in whichever destination we decide to head to next.